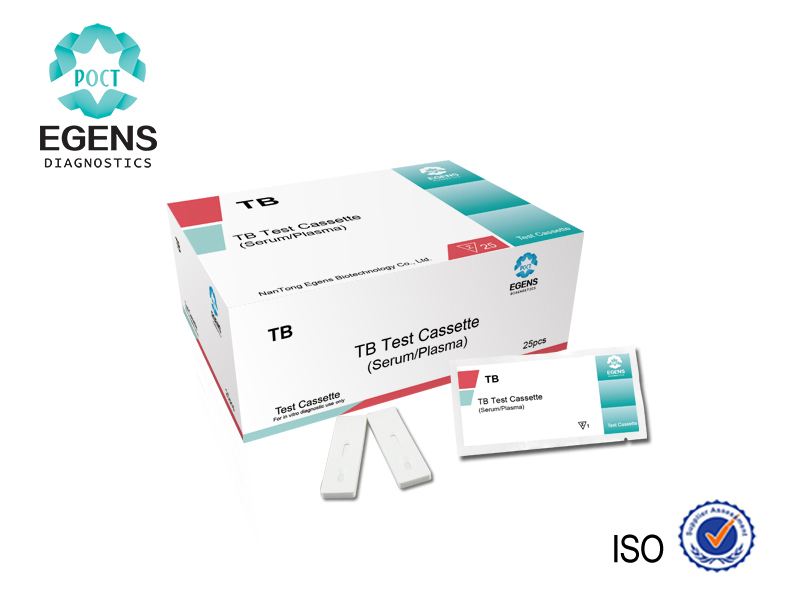 The One Step TB Test is a chromatographic immunoassay for the qualitative detection of antibodies to M. tuberculosis in human wholeblood. This test is intended for professional use as an aid in the detection of antibodies against M. tuberculosis in human wholeblood. Three specially selected TB recombinant proteins are used in test band as capture materials and gold conjugates. 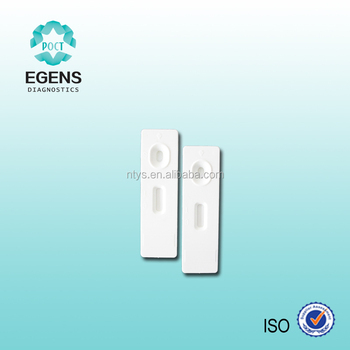 These enable the Rapid TB Test to identify antibodies to TB in human wholeblood, with a high degree of accuracy. 1,When you are ready to begin testing, open the sealed pouch by tearing along the notch. Remove the test from the pouch. .
2. Draw about 30 ul of whloeblood into the sample pad. 3. Then draw one drop of whole blood buffer into the sample pad as well . 4.Wait 10-15 minutes and read result. Do not read results after 15 minutes. Negative: Only one colored band appears on the control (C) region. No apparent band on the test (T) region. Positive: In addition to a pink colored control (C) band, a distinct pink colored band will also appear in the test (T) region. Please consult your physician to perform a much more detailed exam. Invalid: A total absence of color in both regions is an indication of procedure error and/or the test reagent has been deteriorated. The test kit should be stored at room temperature (2 to 30°C) in the sealed pouch to the date of expiration. The test kits should be kept away from direct sunlight, moisture and heat. 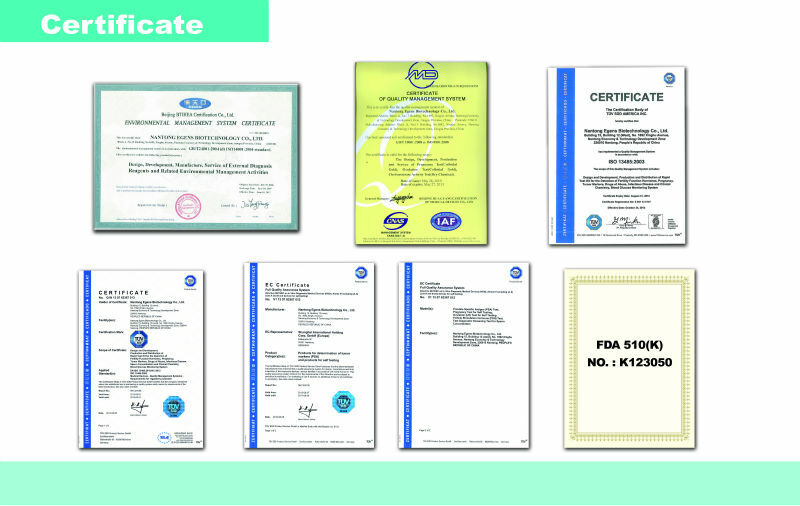 1,For in vitro diagnostic use only. 2,Do not use test kit beyond expiry date. 3,The test device should not be reused.